Two people have died and at least 22 have been injured following a fire at a ski resort in the French Alps that is popular with Irish tourists. 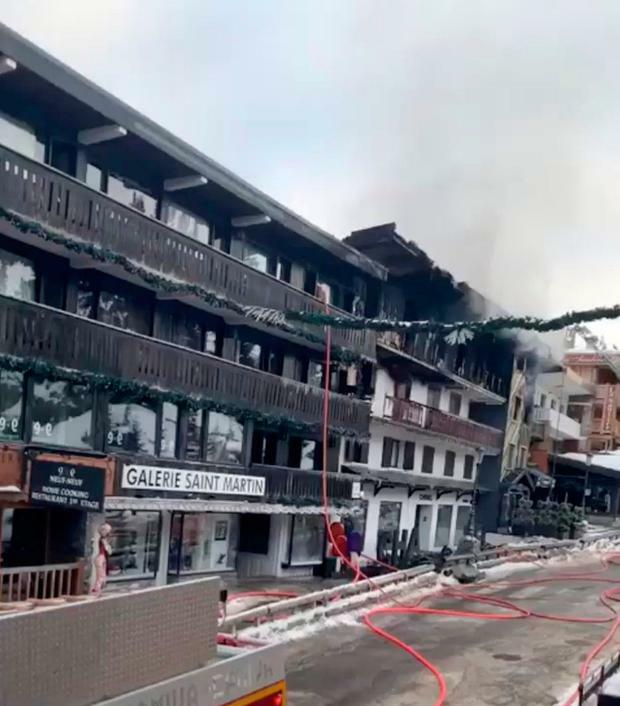 Sixty resort employees were evacuated after the blaze broke out at accommodation for seasonal workers in Courchevel in the early hours of yesterday morning. Footage posted on social media showed fire crews using ladders to rescue trapped workers from the wooden building. At least one person can be seen jumping from an upper floor to escape the flames. Two bodies were found in the burnt-out building, local media reported. They have not yet been identified. Four other people were seriously hurt but are not thought to have life-threatening injuries. Authorities in the Savoie region are investigating the cause of the fire, which broke out on the building’s third floor at about 4.30am. A witness said he saw two men jumping out of the burning building to escape the flames. Most of the workers staying there were young, Yarik Zanuda added. “The two young men who jumped, I saw them after, they are wounded and hospitalised,” he wrote on Facebook. A seasonal worker who had been staying in the building claimed no fire alarm had sounded. “I heard, ‘Help, help, help!’ from my room. “I went out, I saw the flames,” he told French broadcaster LCI. About 70 firefighters had brought the blaze under control by dawn. The fire was extinguished by 9.40am local time. France’s interior minister Christophe Castaner paid tribute to the emergency services and said his “thoughts are with the families and loved ones of the victims of the fire”.